The character never had a first name during the filming of Star Trek, TOS. But in a 1970s fan-fiction short story, her first name was cited as Upenda. 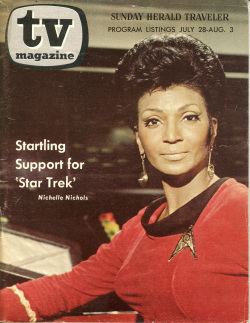 Nichols liked the story and she said at several Trek conventions that Upenda was indeed Uhura's first name. Then, in the late 1980s, a researcher suggested Nyota, Swahili for star.